Prado Villas is a unique holiday resort, built around 18 villas, at only a five-minute drive from the beach and city centre. It is the perfect place for families who enjoy the luxury of individual villas, but appreciate the company of others. 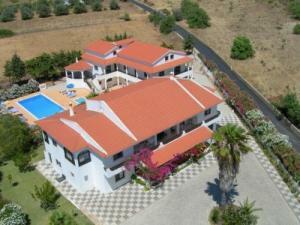 The villas are spacious, well equipped, very comfortable and nicely decorated. The resort has a large swimming pool. Conveniently located halfway between Quarteira and Almancil, this guesthouse enjoys a rural location, ideal for a break from city living.